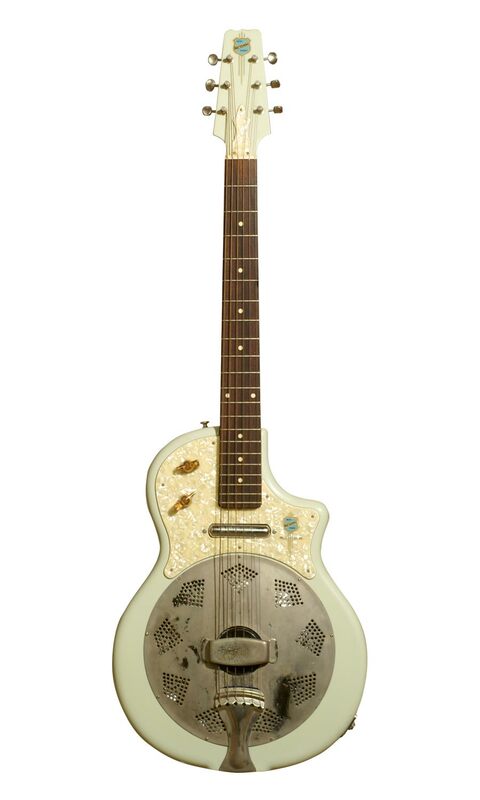 if you want to emulate the wild, apocalyptic, steam driven blues sound of players like Tampa Red and Son House then it might be time to choose yourself a resonator guitar – just to give your blues that authentic, weathered, road worn, steel guitar sound. If you play with a piano player it’s very easy to get a low down honky tonk sound – stand that piano in the field for a week or two and then just push some brass tacks into the piano hammers…Unfortunately you just can’t do that with your own fingers can you? But do not fear – there are many options available from vintage Dobros through to modern Nationals, handcrafted Mattsen specials and the highly lauded but very affordable Republic range of Reso-Phonics. Republic guitars make a fine set of very affordable reso-phoncs, built by hand and each set up to your preference by a technician with 40 years experience, and, they ship worldwide. Some of the artists who use Republic Guitars include none other than blues demon Johnny Winter, rock luminary Joe Satriani, the Doobie Brothers’ John McFee, Joe Walsh, Charlie Daniels, Jackson Browne, Keb Mo, The Dixie Chicks and Bottleneck John. You’re in good company. You can choose from a vast range of materials and options such as bell brass, steel, maple, or sapele wood for the guitar body coupled with options such as copper, nickel silver plate, swamp green finish and both square or round neck with Abalone dot inlays. You can find their website right here. Biscuit, Spider, Single or Tricone? Biscuit, Spider, Single or Tricone – it’s a complicated business making that decision so here is resonator afficionado Kenni Lee Burgess is here to help you choose the right steel guitar slide machine! 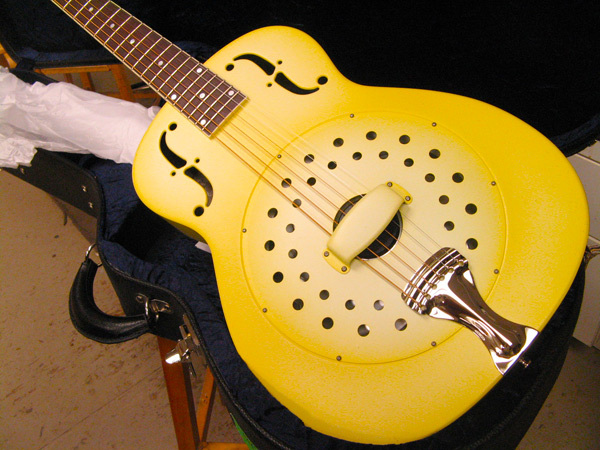 More on National and Mattsen resonators coming ….Check Back soon. play it, and if you like it, find someone who knows their stuff and take them down there. What are the markings of an authentic National Tricone Resonator? A hock shop allegedly has one in Australia and I don’t know if it is authentic or not. It doesn’t have a transfer it has a brass plaque on the head stock.